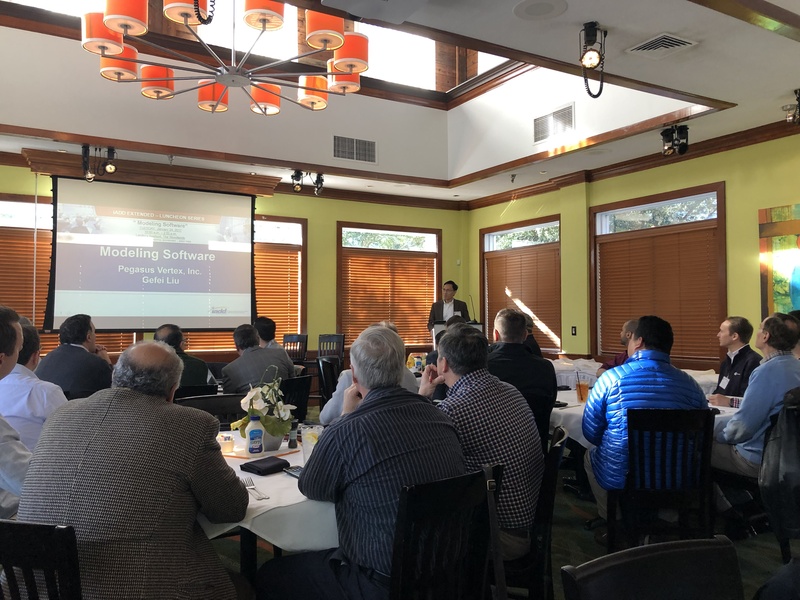 Gefei Liu, president of PVI, gave a presentation at the extended luncheon of the International Association of Directional Drilling (IADD) monthly meeting in the Woodlands, Texas. The theme of the luncheon is software modeling for the drilling industry and the way the different players in the market tackle complex problems such as Torque and Drag, Well Planning, BHA, Hydraulics, Vibration mitigation, etc. Yanfang Wang from Louisiana State University and Hu Dai from PVI, gave a presentation called "Parametric Analysis of Efficiency Using an Efficient Mud Displacement Modeling Technique" at the AADE 2018 National Fluids Technical Conference and Exhibition, from 4:30pm to 5pm on Wednesday, April 11, 2018, at the Hilton Houston North (Room C), Houston, Texas. Hu Dai and Gefei Liu from PVI, gave a presentation called "An Overview of Annular Displacement Efficiency in Cementing Jobs Using an Efficient Numerical Model" at the AADE 2018 National Fluids Technical Conference and Exhibition, from 10:30am to 11am on Wednesday, April 11, 2018, at the Hilton Houston North (Room D), Houston, Texas. John McCormick from PVI, gave a presentation called "Displacement Efficiency Demystified" at the LAGCOE - Louisiana Gulf Coast Oil Exposition, at 2 PM on Tuesday, October 24, 2017, at the Cajundome & Convention Center, Lafayette, Louisiana. John McCormick from PVI, will be giving a presentation (SPE-187151-MS) called "Circulation Subs and Their Impact on Downhole Hydraulics" at the 2017 SPE Annual Technical Conference and Exhibition, at 10:25 AM on Wednesday, October 11, 2017, at the Henry B. Gonzalez Convention Center, San Antonio, Texas. Liguo Wang, PVI general manager in China, gave a presentation called "Displacement Efficiency in Cement Job Demystified" at the CING 2015 International Petroleum Summit at the Chengdu Century City New International Convention and Exhibition Center, Sichuan Province, China on November 14, 2015. 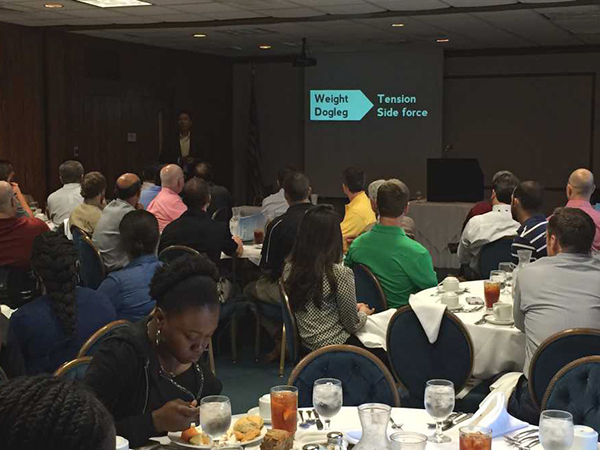 Gefei Liu, president of PVI, gave a presentation at the Lafayette Petroleum Club SPE Workshop on Thursday, October 30, 2014 in Lafayette, LA. This SPE workshop was organized by Evangeline SPE section. More than 60 people from industry and universities attended the lunch workshop. Gefei Liu, president of PVI, gave a presentation called, "Centralizers in Directional and Horizontal Wellbores - Are We Using Too Many or Too Few?" 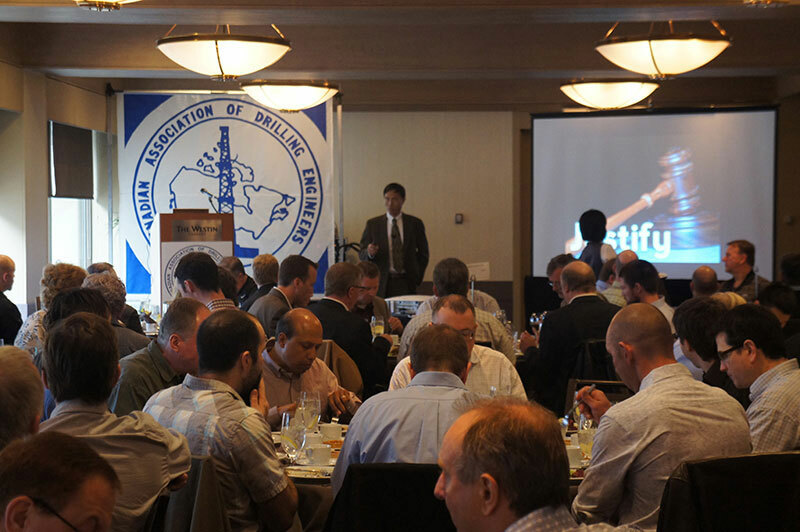 to Canadian Association of Drilling Engineers (CADE) at Westin Hotel in downtown Calgary on February 6, 2013. John McCormick from Halliburton and Gefei Liu from PVI, gave a presentation (SPE 156945) called "Torque and Drag Modeling Advanced Techniques and Troubleshooting" during the 2012 SPE Annual Technical Conference and Exhibition, at the Henry B. Gonzalez Convention Center, San Antonio, Texas, on October 8 - 10, 2012. Lawrence Weber from Chevron and Gefei Liu from PVI gave a presentation (SPE 150345) called, "Centralizer Selection and Placement Optimization" at the 2012 SPE Deepwater Drilling Conference and Exhibition, at the Moody Gardens Hotel, Galveston, Texas, on June 21, 2012. Yanghua (Lily) Xiang and Gefei Liu from PVI gave a presentation called, "Impact of Cuttings Concentration on ECD During Drilling" at the 2012 AADE Fluids Technical Conference and Exhibition, at the Hilton Houston North, Houston, Texas, on April 10, 2012.
ePoster by S.B. Mitchell from WWT International and Y.L. Xiang from PVI during the IADC/SPE Drilling Conference and Exhibition at Town and Country Resort & Convention Center, San Diego, California, March 6, 2012. Yanghua (Lily) Xiang and Gefei Liu from PVI gave a presentation entitled "Casing Wear Prediction and Prevention" during the 2011 CAPA PETROLEUM AND PETROCHEMICAL TECHNICAL SYMPOSIUM on Friday, October 21, 2011. 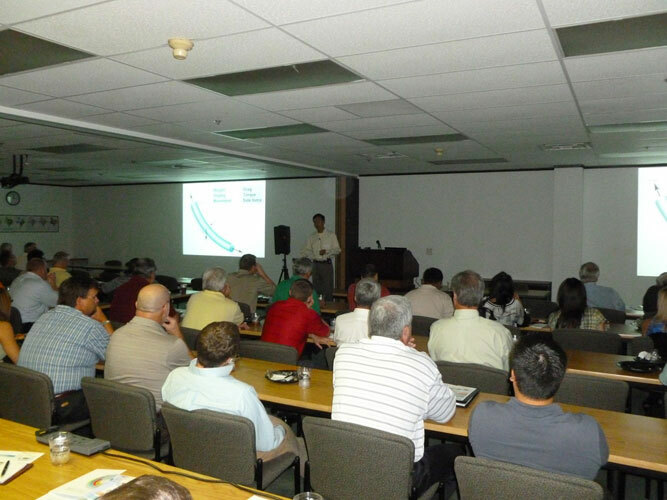 Gefei Liu, president of PVI, gave a lunch-n-learn presentation called, "CT Reach Analysis" in Houston (ICoTA USA Chapter), August 9, 2011. More than 70 people pre-registered and attended this event. Authored by Sarah Mitchell and Dr. Norman Bruce Moore, WWT International Inc.; James Franks, Pioneer Natural Resources; Gefei Liu and Yanghua (Lily) Xiang, PVI.